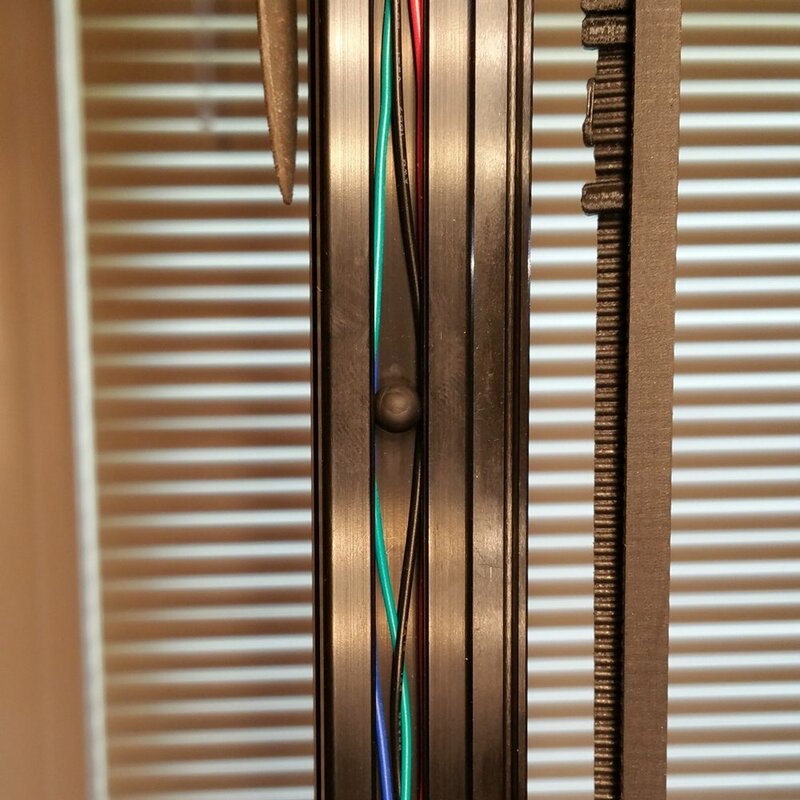 A really simple technique for running wires through the exposed slots on T-slotted Aluminum Extrusions. For 20mm x 20mm Alum. Extrusions, 0.26" rubber Spaceballs panel spacers are cheap and perfect to hold in wires. Designed to eliminate rattle paneled doors, find them for ~$5 per 100 on Amazon or most Woodworking sites.